When in North Devon, there are some things you simply must do - such as visit the beaches, walk through the quaint villages and see Exmoor National Park. But there are also some very special places to visit and things to do that are only available in North Devon, making your visit to the area extra special. 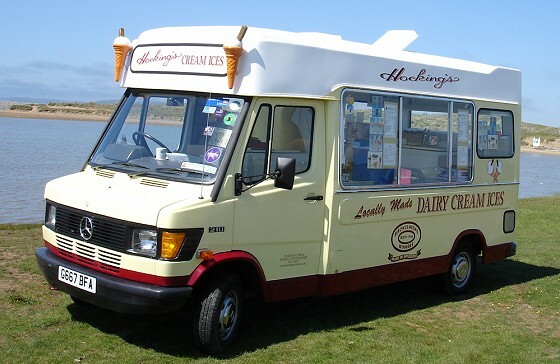 For those who love a classic ice cream cone on the beach, it simply has to be a Hocking’s - the signature ice cream of North Devon. Their distinctive yellow and red vans can be found at key locations throughout the summer season, from March till October. Regular locations include Appledore, Bideford, Torrington, Westward Ho!, Barnstaple, Ilfracombe, and other spontaneous places. The Hocking family have been making their own ice cream here in North Devon since 1936, providing no-nonsense, delicious West Country ice creams ever since. Did you know that Exmoor National Park has the highest cliffs on the British mainland? Great Hangman, near Combe Martin in North Devon and on the Exmoor coast, is a coastal hill of 1043 ft high with a cliff face of 250 meters. To put this to scale, the White Cliffs of Dover stand at 110 meters. The South West Coast Path follows the Exmoor coast, so walk the marked routes to see the Hangman cliffs and take in the stunning views. Founded in 1864, the Royal North Devon Golf Club is the oldest in England. Since 1864 this Westward Ho links golf course remains mainly unchanged in 100 years. 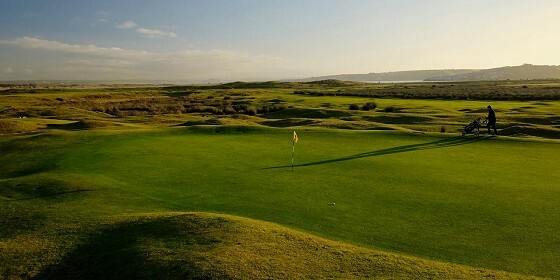 It is truly unique, as the course is set in the beautiful settings of some burrows by the sea, with an added touch of sheep and ponies wandering free. The club has always led the way in golf, and is regularly mentioned in top golf course lists - a must play for all levels. 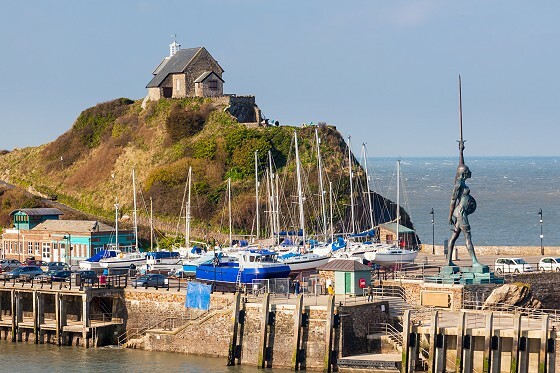 St Nicholas Chapel, in Ilfracombe, is thought to have been built in 1361 (or the 14th century at least) and has stood acting as a lighthouse or beacon ever since. It is therefore thought to be the oldest working lighthouse in the UK. Next time you’re in Ilfracombe, pop up Lantern Hill and have a look at this little historical building with its light on top. Whilst the light has been constant, the building has had various uses. It was a dedicated lighthouse during the time of Henry VIII (1509 to 1547) and has been used as a home, a place to do laundry and as a chapel - hence the modern name of St Nicolas Chapel. Today it is a visitor attraction, with people visiting to see the chapel, the light, and the surrounding sea views. As you'll see from the image shown above, it overlooks Damien Hirt's famous Verity Statue - another thing you can only see in North Devon. To reach Lynmouth from Lynton you can drive down the roads, walk the zig-zag path down the cliff, or take the famous and historical Cliff Railway! 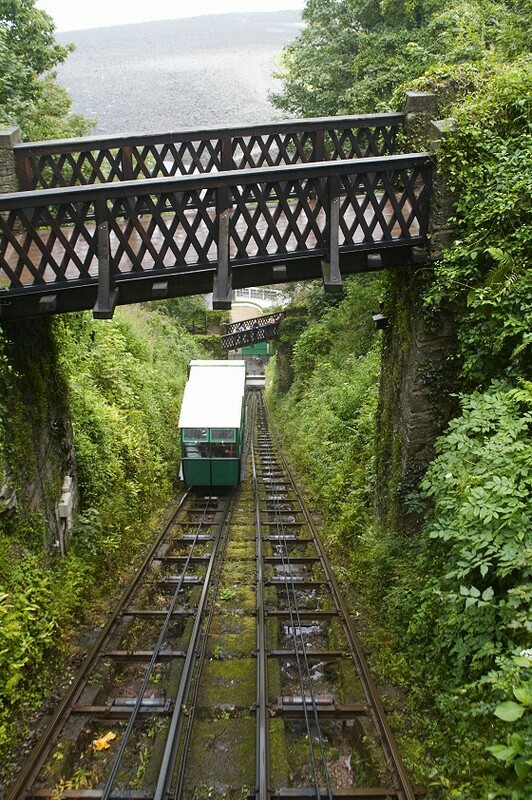 It opened in 1890 and is the highest and the steepest fully water powered railway in the world! The views during the up and down 500ft journey are breathtaking. Lynton is a town up the side of the valley. In the high street, you’ll find quaint shops and cafes. Lynmouth is the neighbouring village, with a harbour, a beach and it comes with all the stereotypical British icons you can think of - fish n chips, ice creams, souvenir shops and classic pubs. Originally founded in 1967, Dartington Crystal has become a commercial enterprise, developing into the UK’s leading name in crystal and glass. Dartington Crystal is now the only remaining factory scale producer of handmade glassmaker in the UK and Ireland. Their products are sold all over the world including at Tiffany’s in the U.S. They are also the home of Royal Brierley - the longest established name in English crystal. Their Visitor Centre, in Torrington, showcases their glassmakers at work. Lucky for us they are found just 30 minutes from Barnstaple, and therefore the ideal place to see and learn the art of glassblowing. 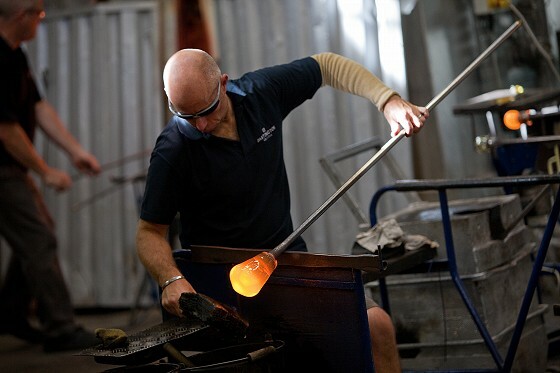 Visit their Visitor Centre to take a factory tour and see the Master Craftsmen at work making glassware. You can also take part in creative activities, such as have glass hand casts made. 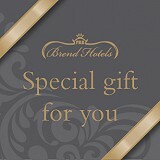 Guests can also shop, dine and see all the history of the company. A great day out not available anywhere else. Those are our 6 things you can only do in North Devon. But every day here is unique and special, with so much to do and take in, no two days are the same. If you’d like some North Devon accommodation, see our offers page for our latest low prices, or call us on 01237 472005 to arrange your stay.